Donna is an experienced business professional and truly enjoys the Vacation rentals business. In 1993 she moved from Swampscott, MA to Maine and has resided in the communities of York, Ogunquit, and now Wells. Donna's experience shines through at Jean Knapp Vacation Rentals. Her focus is VACATION Rentals! She is committed to the highest quality of service that you deserve. Specializing in vacation rentals in Ogunquit, York, and Wells, Maine. LuAnn is a real estate agent with RE/MAX Realty One in York, Maine and has managed rentals since 2002 in the southern Maine and NH areas. 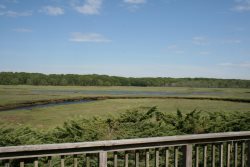 Our affiliate rental agency, Jean Knapp Rentals, located in York and Ogunquit, has served the rental market for over 20 years. Our "long term" rentals include winter season and year-round. You can rest assured that your property will have the best exposure through advertising and the tenant prospect will commit to a thorough screening process. For tenants, gaining as much history and information about a rental property is always my goal. Contact me whether you are looking to list a home, rent a home or need a transitional home. At Jean Knapp Rentals, we are committed to the highest quality of service that you deserve.